You know as well as I do that leads are worth NOTHING if you can’t convert! They cost money and you get nothing back. 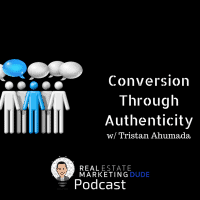 But Tristan Ahumada is an expert at connecting and conversion and in this episode, and he’s here to take me through the steps he uses to not just convert, but convert RELIABLY from Facebook and Google pay-per-click ads. Most of us have a split of business where up to 80% of our business comes from repeats and referrals, but for Tristan, it’s more like around 35%! His remaining business comes from converted online leads, and he does it WITHOUT buying leads from Realtor.com or Zillow. I asked him to lay out exactly how he does it, and the first thing we discussed was connecting with people and understanding personalities. If you haven’t taken a DISC course, do it now! Understanding your leads’ personalities is key to conversion, and Tristan and I look at a couple examples of how (and why) it works. Once we’ve got that down, it’s time to talk specifics, and Tristan walks me through exactly what he does when a lead comes in. He covers everything, from how long it takes to call that lead, to how long it takes to follow up, and what to say. We even talk about how to deal when you’re having an off day! Next, Tristan explains why he went cold turkey and stopped using both Realtor.com and Zillow for leads. 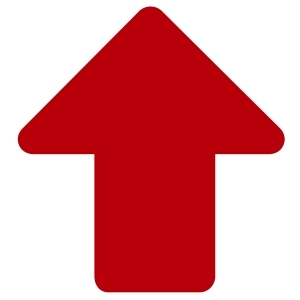 When he decided to leave both sites, 66% of his business came from the two of them, and he had to make it up from somewhere! He talks me through where he made that business up. We finish off by talking about how to build trust with a client, once you’ve made that initial connection. We talk about the best way to communicate (Text? Facebook Messenger? E-mail?) and how you know when someone really trusts you. Finally, we talk about stories, and why telling a good, authentic story, will get a lead to pay more attention to you and engage more quickly. If you’re not already a member, have a look and join the Lab Coat Agents group on Facebook, the largest real estate agent group in the US.